This is a very interesting topic. When I paint these spotted big cats I’ve always asking myself what exactly am I painting? Then I ask Google. Bheem, The Royal Bengal Tiger at Kanha National Park. 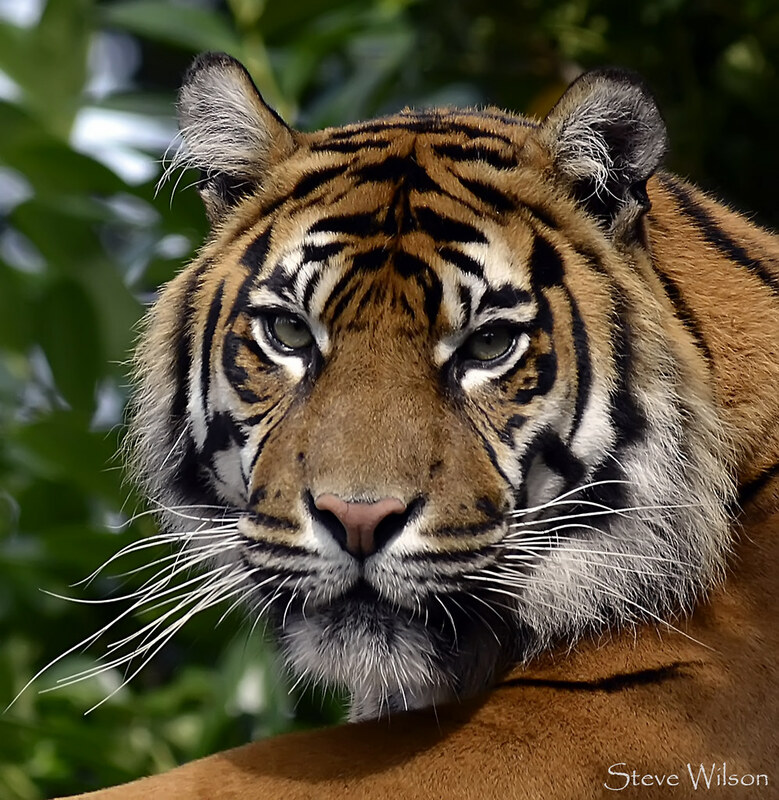 Tigers are huge, powerful animals that live only in Asia. They are very close to lion. Sometimes their skull can be identical. Tiger has strips instead of spots. They also have “bigger” face compare to the following three big cats. Jaguars are the third largest of the big cats. They live in America. Like leopards, they have spotted fur, but jaguars have shorter legs, larger heads and stockier bodies. 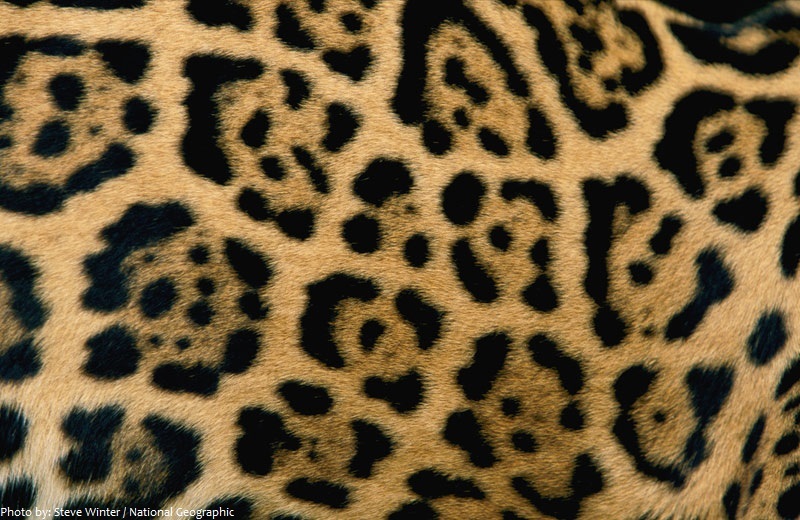 As shown in picture, jaguar’s spots are like happy face, one large “circle” outside, and little dots inside each “circle”. Leopards are less than half the size of tigers, but they are very strong. They are good climbers as jaguars are good swimmers. Leopard’s spots are similar to jaguar’s but without the little dots inside each “circle”. Also, color inside each “circle” is slightly darker than outside place. Cheetah, Phinda Private Game Reserve, KwaZulu Natal, South Africa. Many people view cheetahs as big cats, but some experts think they shouldn’t be included in this group because their bodies look very different from other big cat’s bodies. Also, cheetah can’t roar but make high-pitched yelps instead. 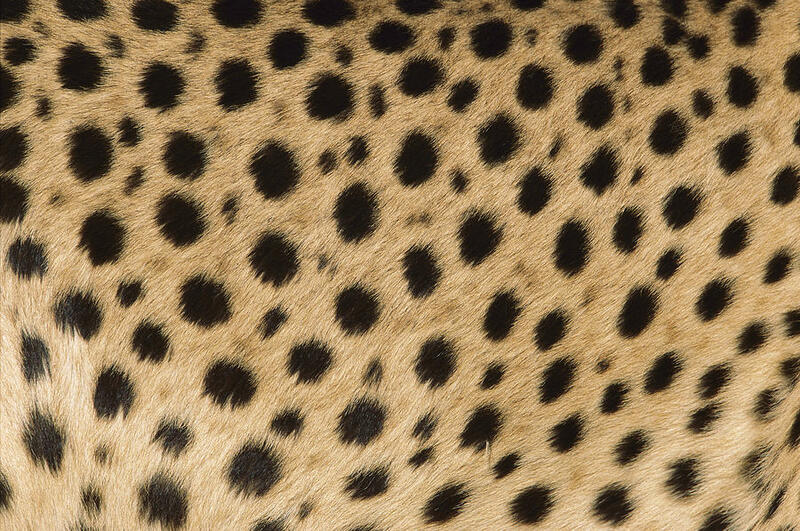 Cheetah’s spots are more solid. It also has little dots spread between large spots. Besides, cheetah has two obvious black lines under their eyes. Some experts say that it might help prevent reflection of sunlight during the day. To sum up, I pick up this picture from my animal anatomy book. The shadow profile comparison clearly shows different shape of each one. Also, I put all strips and spots in one picture to make it easy to compare.